There are 14 species of raptor (18 if you include owls) within the moorlands and forests of the National Park. 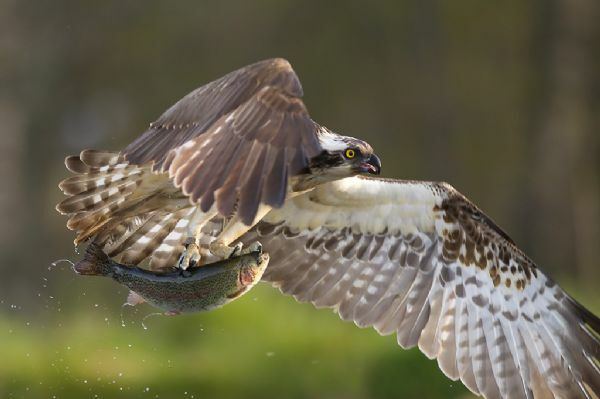 Some are resident here all year, while others, like the osprey, fly thousands of miles to breed or winter here, making the Cairngorms National Park an area of European significance for raptors. The fortunes of raptor species vary widely across the National Park. The osprey has been a real conservation success story since the first pair recolonised Loch Garten in 1954. White-tailed eagles are beginning to reclaim a foothold here once again after successful reintroductions Hen harriers by contrast have kept on declining within the National Park with only a small handful now breeding. Golden eagle are fairing better, yet densities are lower in the east than in the west of Scotland despite more abundant live prey and better breeding success. Likewise, numbers of peregrines are not what they could be and there seems to a negative association with areas of grouse shooting. In order to look into what is happening with our raptors a number of projects and initiatives have been developed. Due to their conservation status, the main species of focus for this work was golden eagle, hen harrier and peregrine. This project has helped highlight the life stories of individual raptors living in the Cairngorms National Park and to put this in the context of their conservation. Raptors which have been satellite tagged in the Park can be followed online to better understand their movements and behaviour. 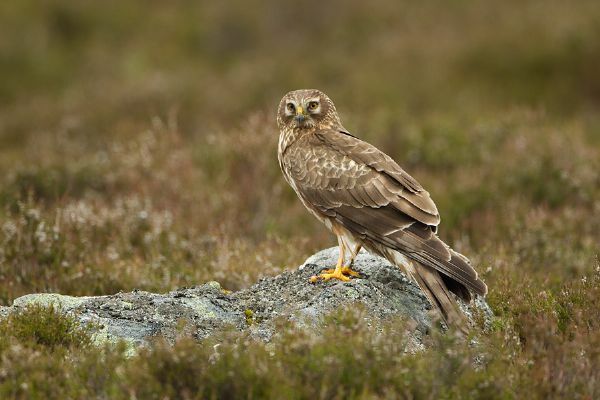 This partnership project is asking everyone to be on the look out for harriers and report any sightings of these spectacular raptors in Scotland during April – June.. This project, part of the Partnership for Action against Wildlife crime (PAW Scotland), is looking for better info on where these birds occur to help in the fight against raptor persecution. If you see a hen harrier over the next few months, note its location (ideally a six figure grid ref), time and what you saw and then report it to the project by phoning the hotline T: 07767 671973 or emailing henharrier@snh.gov.uk. A project has also just recently begun that is working with six estates with contiguous land holding from Deeside to Glenlivet working on innovative solutions to problems, perceived or otherwise, associated with moorland management. Amongst the isues being dicussed is how to allow for more raptor species to thrive on a grouse shooting estate while maintaining a viable business. Developments form this project will be updated as the project develops.